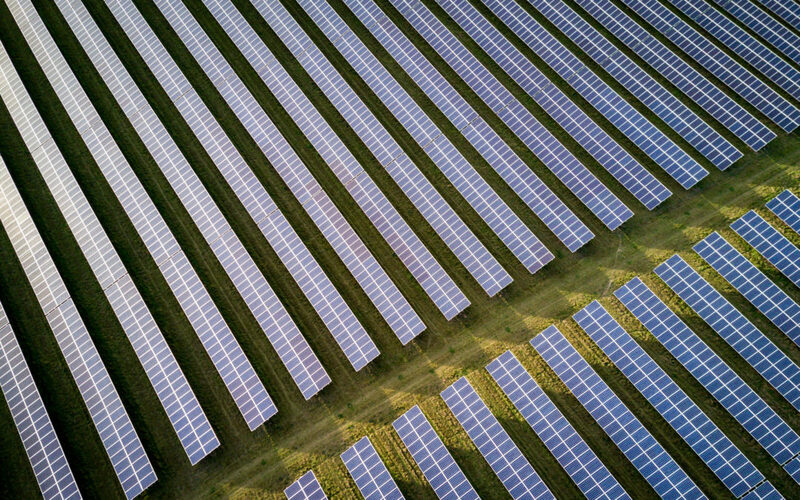 Today at its Open Meeting, the Wisconsin Public Service Commission approved five interrelated cases that will lead to a five-fold expansion of solar energy in Wisconsin. Finally, the PSC approved an application from two Wisconsin utilities, Wisconsin Public Service based in Green Bay and Madison Gas & Electric, to acquire a total of 300 megawatts of this new solar capacity. 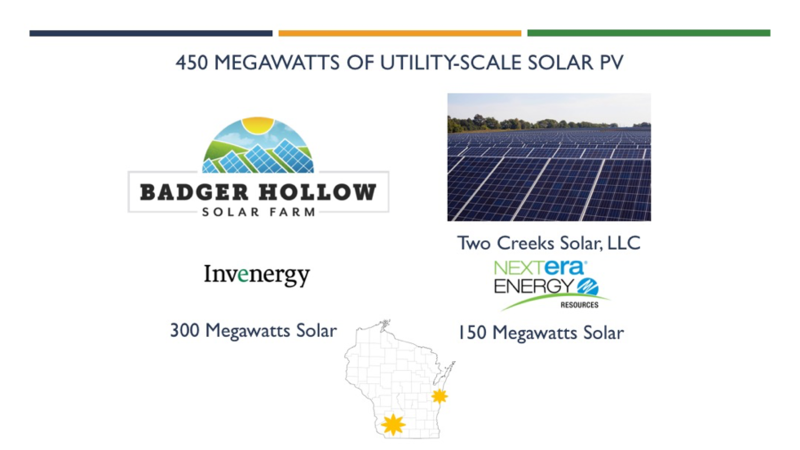 The utilities will acquire the entire Two Creeks Solar Farm and a 150 MW share of the Badger Hollow Solar Farm. Wisconsin Public Service will acquire a total of 200 MW and Madison Gas & Electric will acquire 100 MW. Today’s approvals build momentum for large-scale solar as a resource for power suppliers and utilities in Wisconsin. Three weeks ago, Dairyland Power Cooperative announced a commitment to purchase electricity from a 149 megawatt solar facility called Badger State Solar that would be located in Jefferson County. That project is subject to PSC approval as well. Just yesterday, April 10, the Richland County Board of Zoning gave final, and unanimous, approval to the 49.9 megawatt Richland County Solar Project developed by Savion Energy to be located in the Town of Buena Vista. In 2017, WPPI Energy announced it would purchase power from a 100 megawatt solar project near the Point Beach Nuclear Station. That project also will seek PSC approval in 2019. Taken together, these five new solar projects account for approximately 749 megawatts of new solar power. If all are approved and built, they would supply 2.1% of Wisconsin’s annual electricity needs, and produce enough power to equal the annual usage of about 185,000 homes in Wisconsin. Beyond these projects, at least 4,000 megawatts of additional large-scale solar projects are being explored and developed in Wisconsin. We encourage you to learn more about large-scale solar energy, including our long list of questions and answers, at www.renewwisconsin.org/solarfarms. RENEW Wisconsin is a nonprofit organization which promotes renewable energy in Wisconsin. We work on policies and programs that support solar power, wind power, biogas, local hydropower, geothermal energy, and electric vehicles in Wisconsin. More information is available on RENEW’s website: www.renewwisconsin.org.